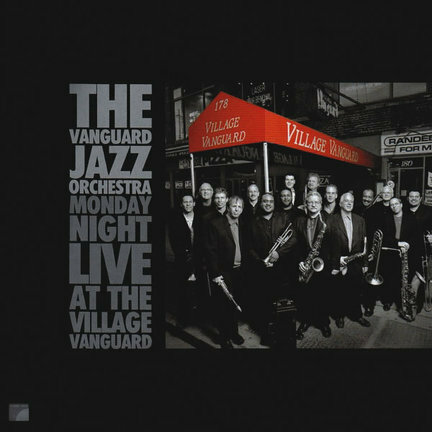 The Vanguard Jazz Orchestra recorded this two-CD set during an eight-night stand, celebrating 42 years of Monday night gigs at the storied club. It’s dedicated to Dennis Irwin, their longtime bassist, who died of cancer a month later. (He does not appear on the album; Phil Palombi does.) Much of the music goes back to the mid-’60s, when the band was formed and the main writers were Jones and Bob Brookmeyer. It is a most worthy document, given the band’s longevity, everlasting hipness, respect and home base. If you compare these performances with the same tunes from the Mosaic boxed set of the Jones-Lewis band’s first recordings, you’ll notice different ensemble nuances and, obviously, different soloists. But there is continuity in the way the ensemble breathes and phrases together, the way drummer John Riley swings, accents and sets up the ensemble passages akin to Lewis and the way the dynamics of the horn sections balance. You can almost see Jones out front directing. 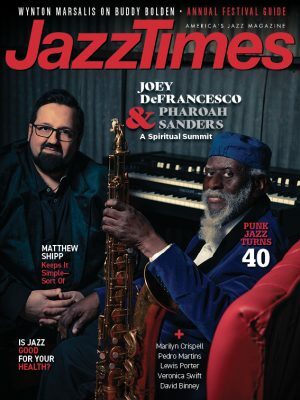 Jones’ “Mean What You Say” opens the album, with Michael Weiss (subbing for regular pianist Jim McNeely on this and four others) setting the pace with a couple of nimble choruses before the horns kick in. Jones made complexity swing, and with the initial success of the band many arrangers borrowed from him: the cross-cutting, section-versus-section rhythms; the packed chord voicings; and the rousing, finely detailed climaxes. “Say It Softly,” “Mornin’ Reverend,” “Kids Are Pretty People” and “The Waltz You Swang for Me,” other Jones originals from the band’s first years, also appear here. Other songs on the album include Jones’ “Little Rascal on a Rock” and his arrangement of Stevie Wonder’s “Don’t You Worry ‘Bout a Thing,” plus McNeely’s “Las Cucarachas Entran” and Jerry Dodgion’s brief arrangement of “Body and Soul,” mainly a background for soloists, in this case baritone saxophonist Gary Smulyan. Brookmeyer’s versions of “St. Louis Blues” and “Willow Tree” are also spotlighted. Earthy solos by trombonist Luis Bonilla (“St. Louis”) and trumpeter Terell Stafford (“Willow”) grace the performances here.